Arigomphus pallidus (Gray-green Clubtail) ♂. 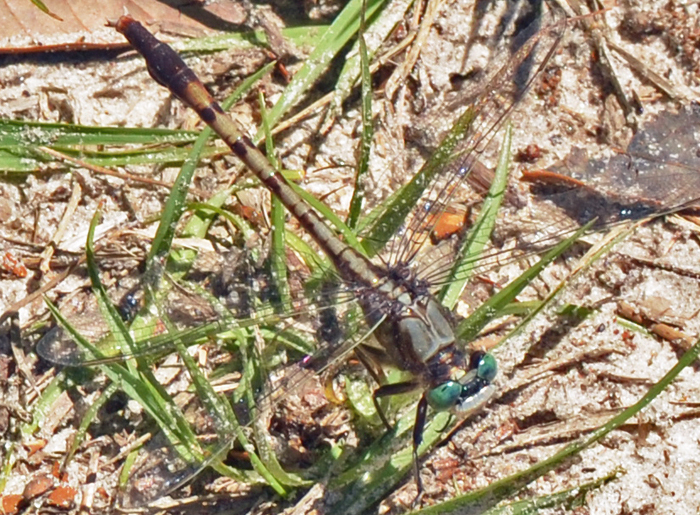 The Gray-green Clubtail is found primarily in Florida, Georgia, and South Carolina and prefers sandy-bottomed streams, ponds, and lakes. It perches on the ground or low growing plants. It is not very colorful but the bright green eyes can be very distinctive.